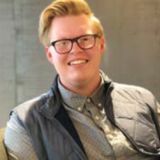 About Me In March of 2016, Cody James Johnson began his career as assistant to the Interior Designer of Stephen F. Austin State University in the SFA Design Center. 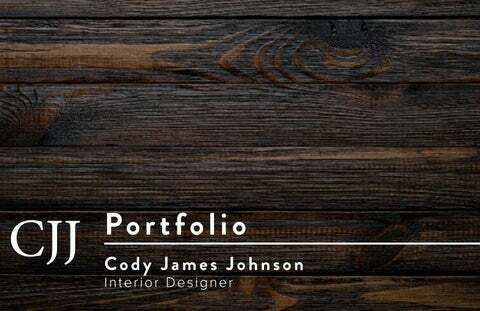 In this role, Cody assisted with all furniture needs, finish selections, client presentations and project managment. After graduating with his Bachelor of Science in Interior Design, Cody accepted a position with Wilson Office Interiors in Dallas, Texas. In his current position with Wilson Office Interiors, responsibilities include: space planning, implementation of code requirements, furniture pricing, assistance with client relationships for design projects, and specification of furniture. Cody communicates effectively with design team members which include Account Managers, Project Coordinators and Project Managers. Cody’s enthusiam for interior design has made him adaptable in the field of commercal design. As a designer, Cody’s goal is to produce holistic designs based on evidence gathered from clients. He carries this concept out through functional and organized designs that use materials and finishes that entices clients and improves workplace productivity. F u n Fa c t This design guru thrives on connecting with people in all walks of life, which helps clients feel both comfortable and valued. His unassuming character, as well as his ease in communicating with others, aids him in developing long term relationships with clients. Currently, he is studying for the Fundamentals Exam for the CIDQ. Provide a space plan for a software company that invites collaboration and open discussion between employees while allowing privacy for the management team. By using a benching system versus a panel based system, this created an open concept for the employees to collaborate when in the office. Provide a fun and exciting amenity space for a call center using previously agreed upon manufacturers per company contract. The different types of furniture used from these manufacturers provided options for the employees to either relax or collaborate in this space. that coincides with a conference room.